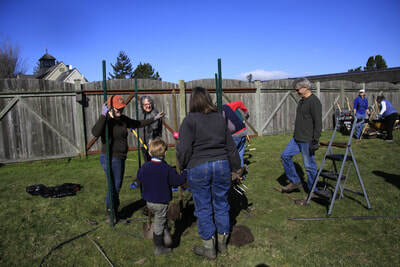 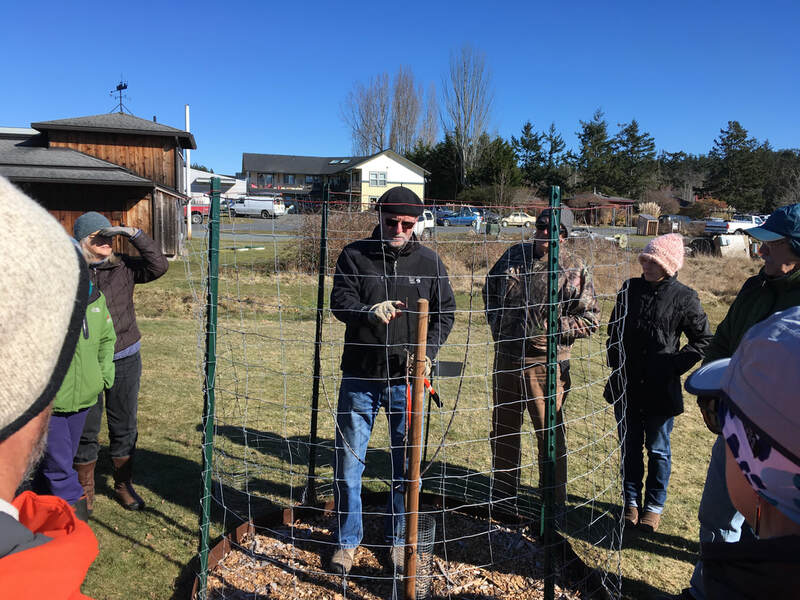 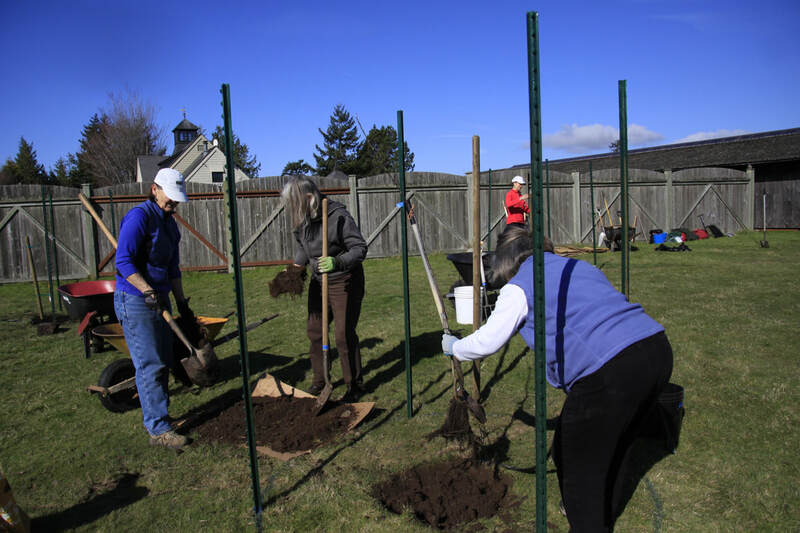 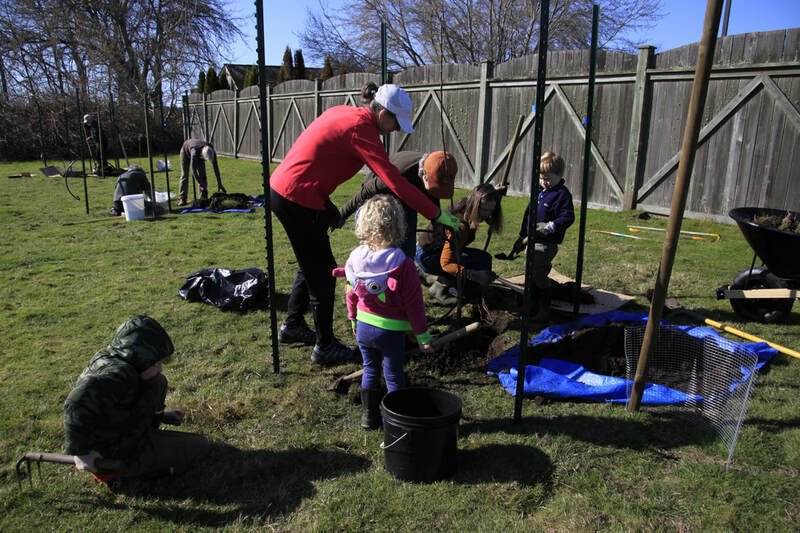 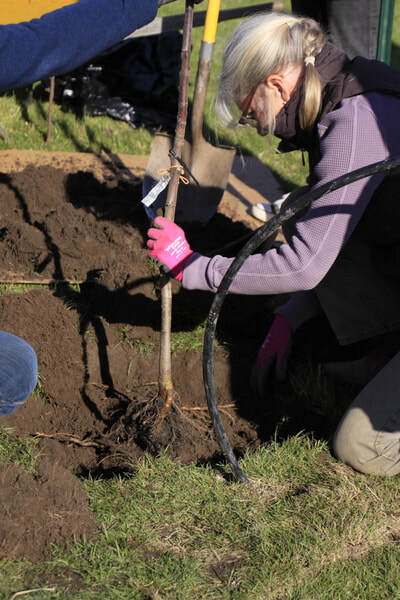 The intent of the MG Heritage Apple Orchard on Lopez is to be an educational demonstration orchard which features historic, heritage apple varieties where Master Gardeners provide community education on pruning, disease and pest management, fruit tree propagation and more. 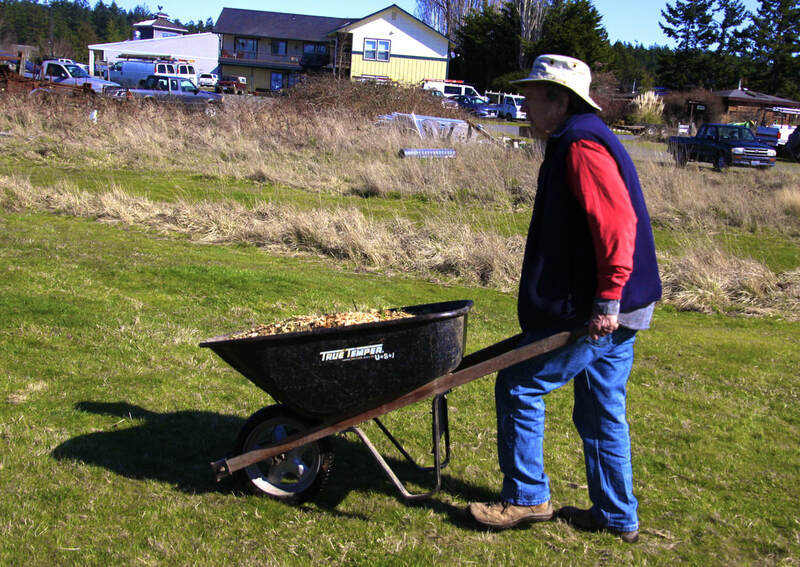 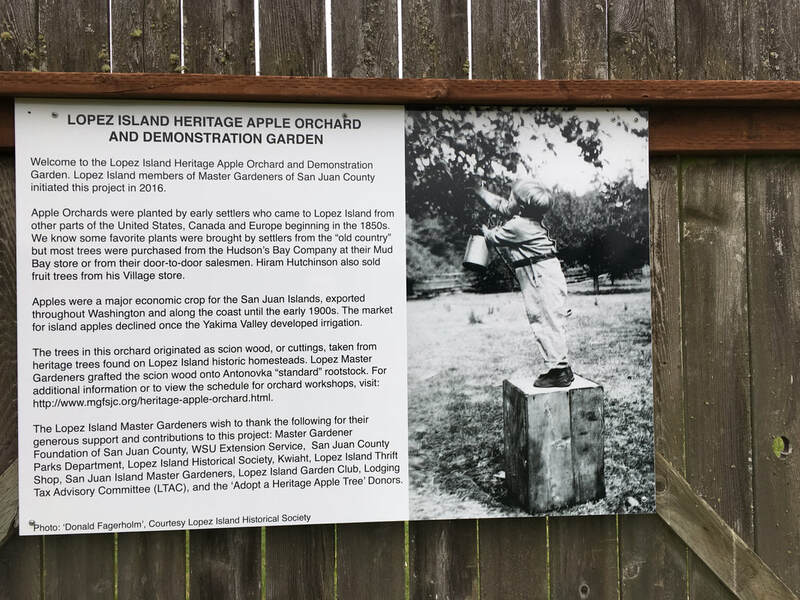 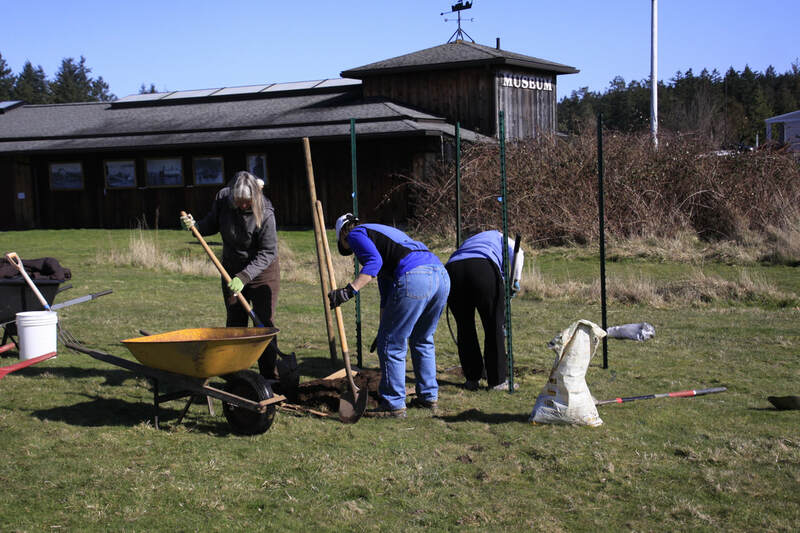 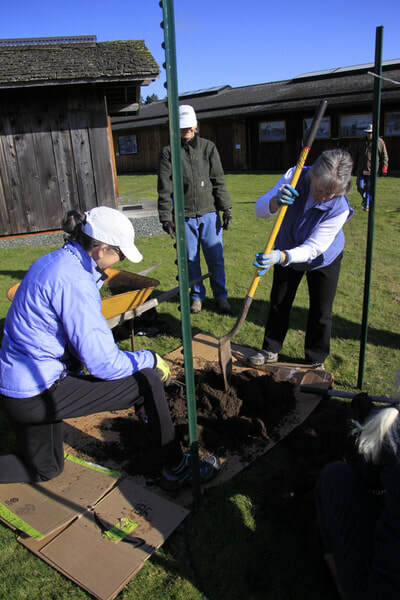 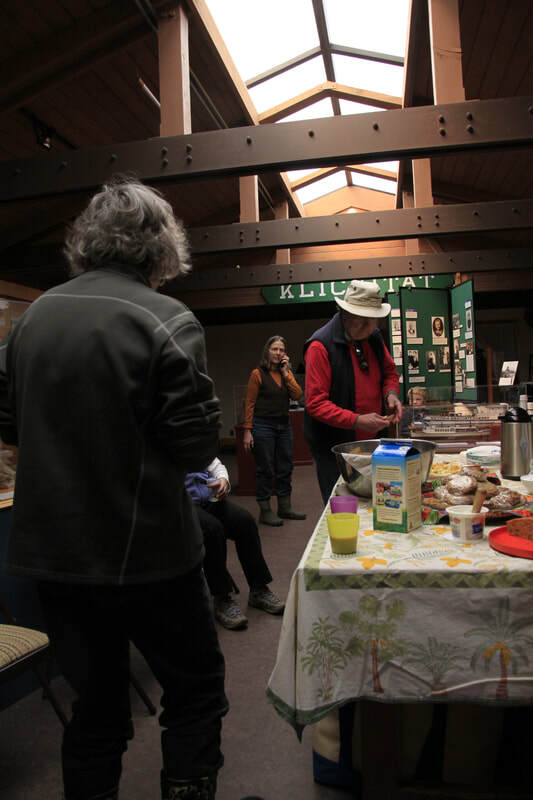 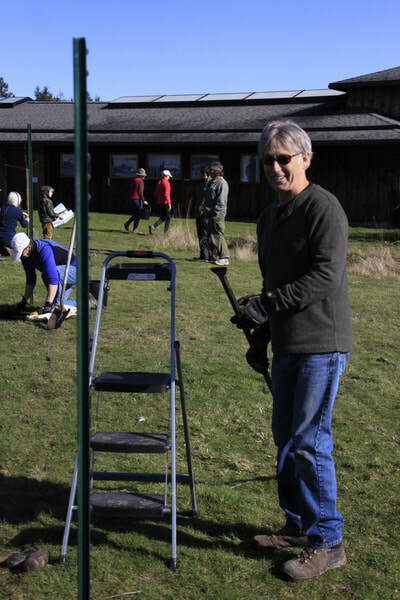 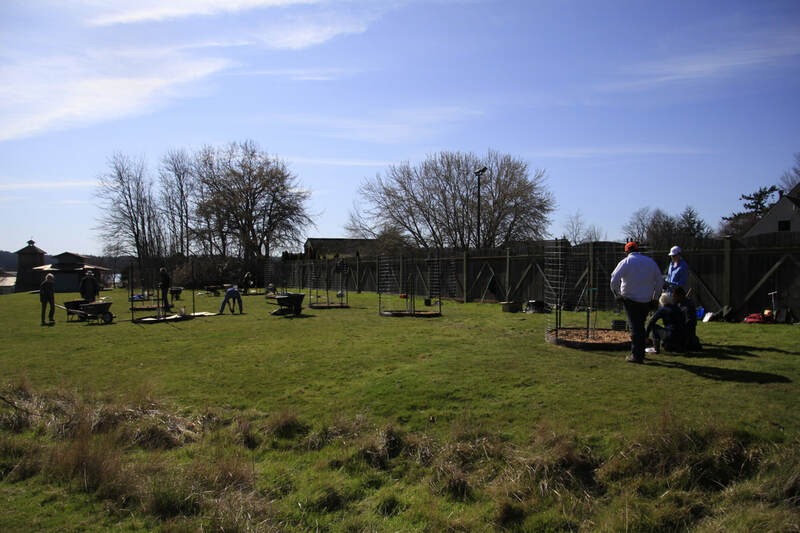 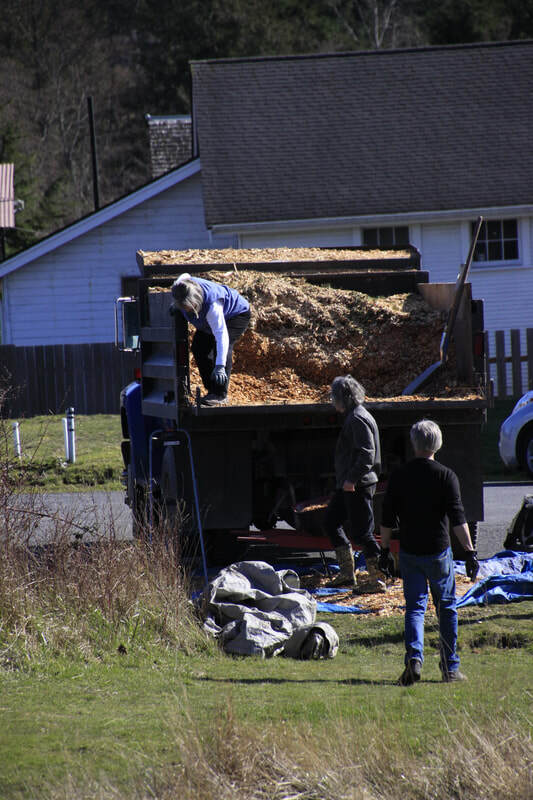 The Orchard site is located on San Juan County Park land between the Lopez Island History Society Museum and the County Park Restroom Facilities in Lopez Village. 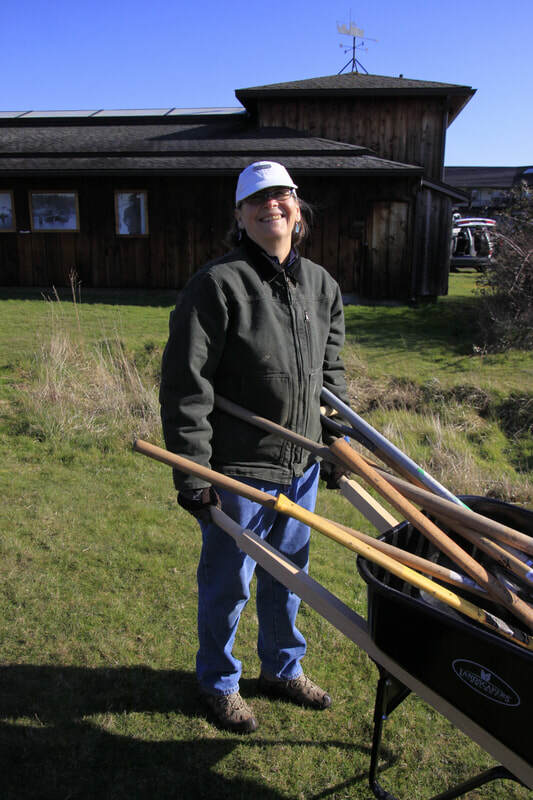 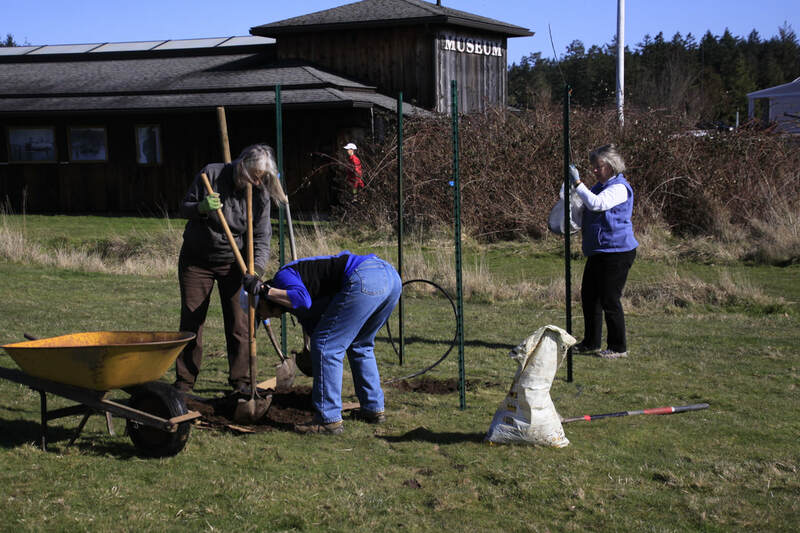 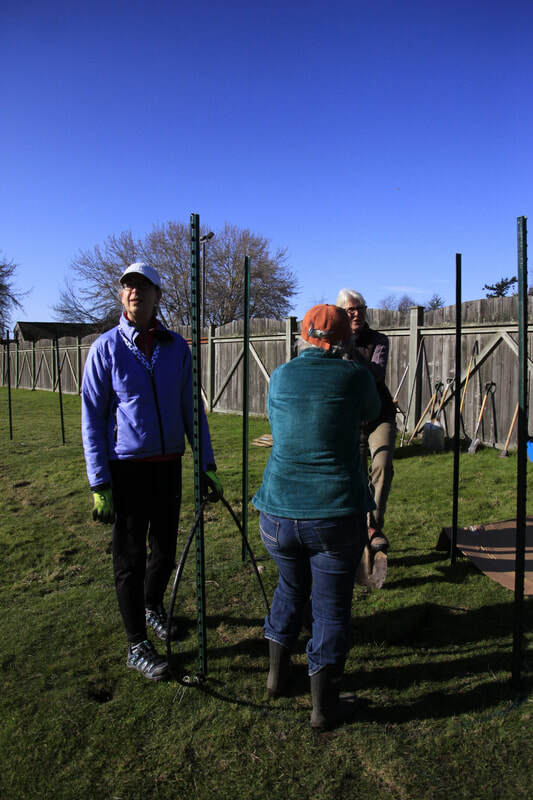 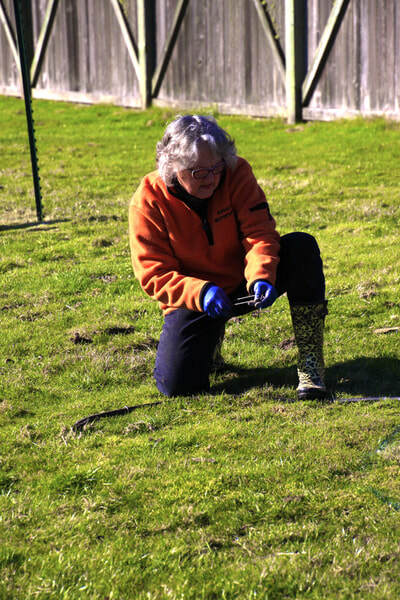 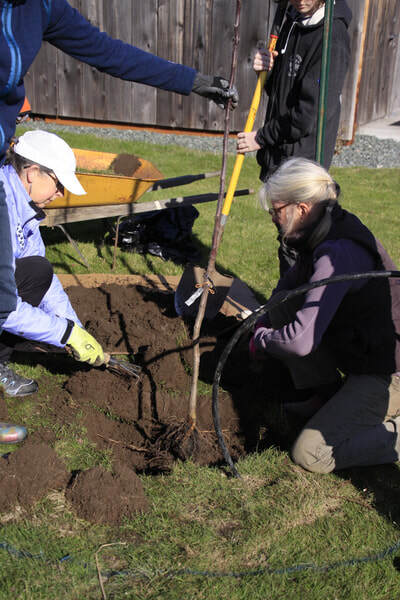 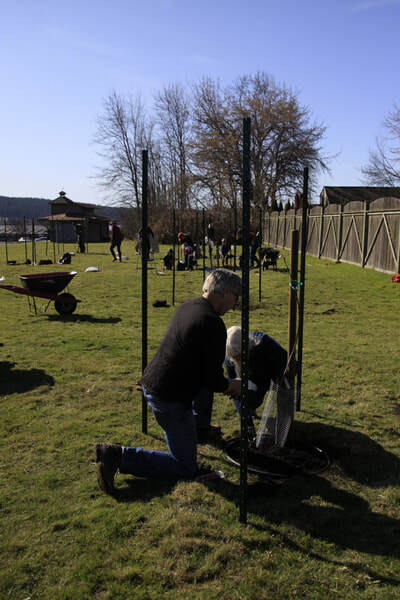 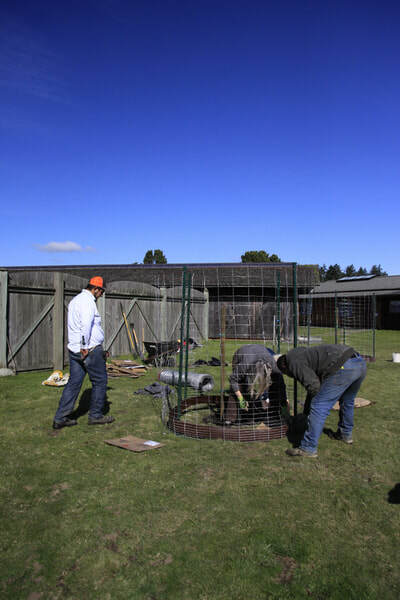 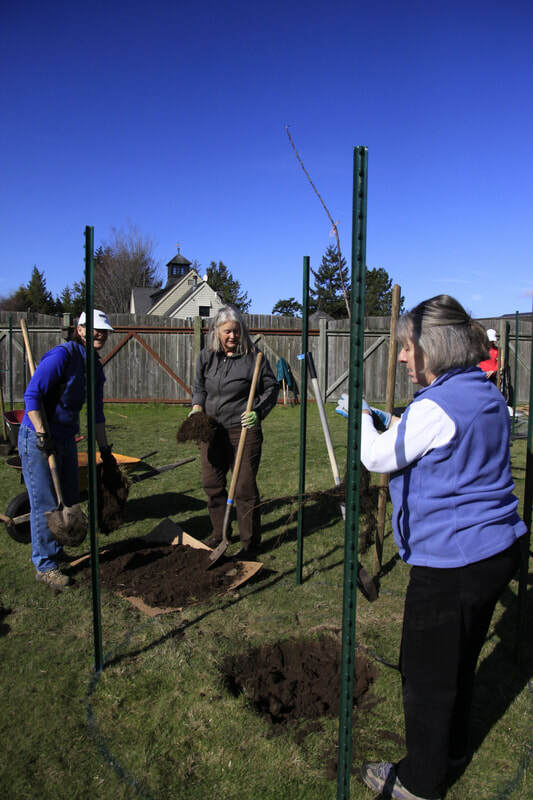 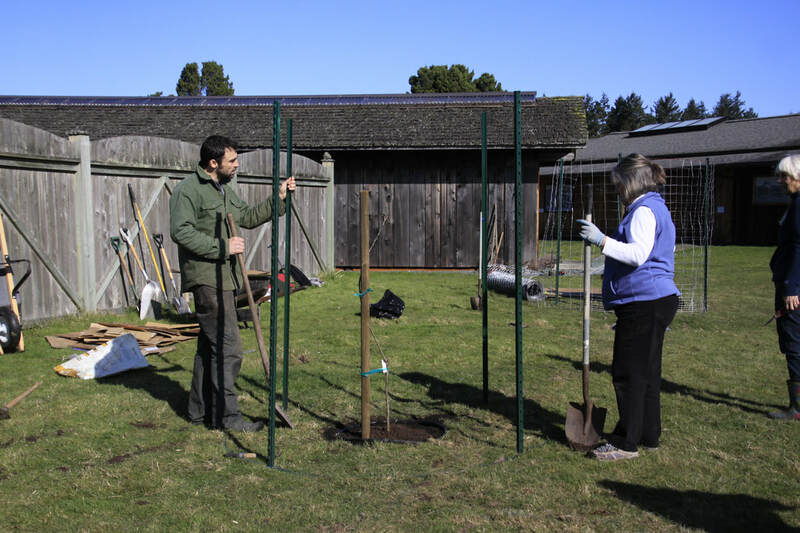 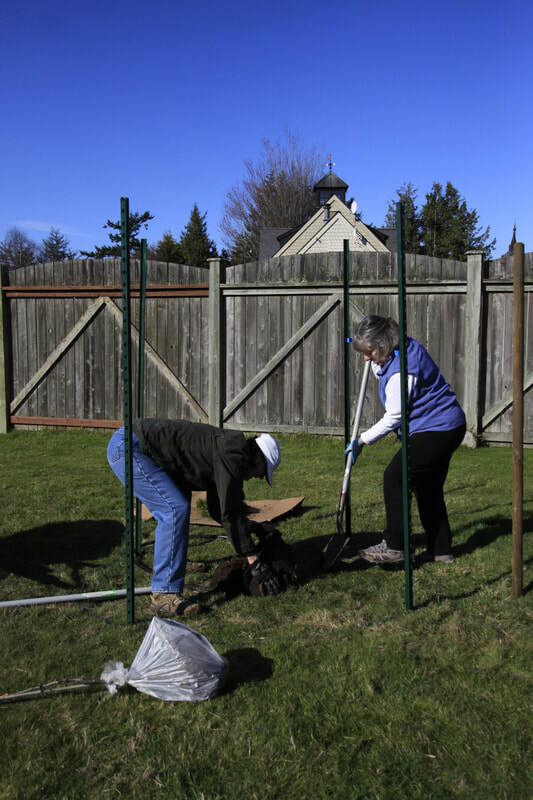 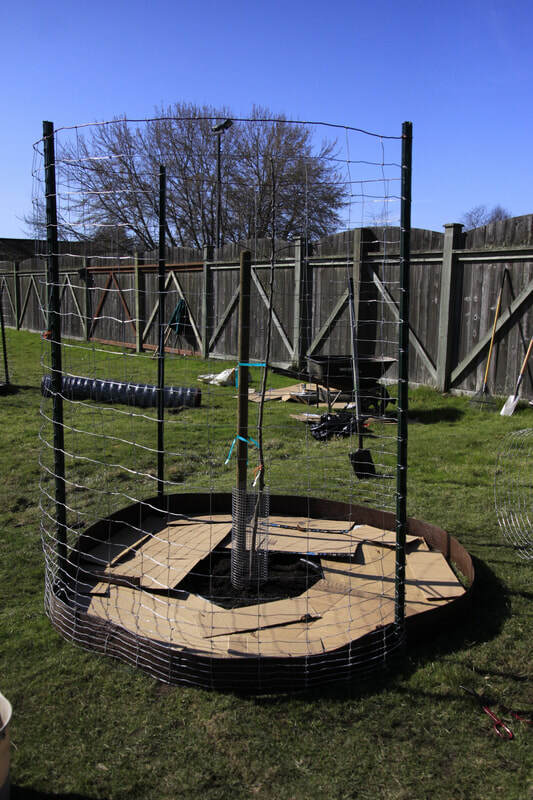 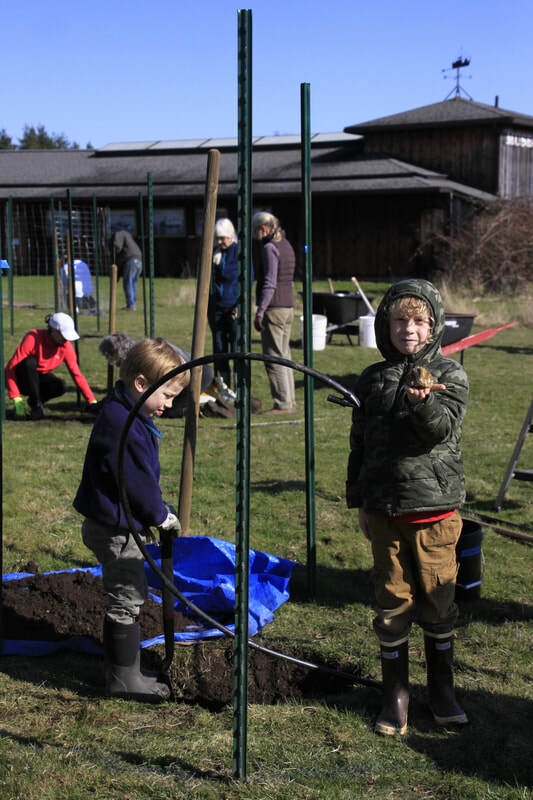 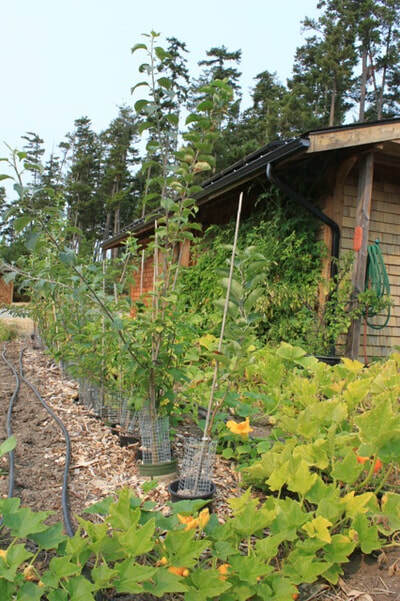 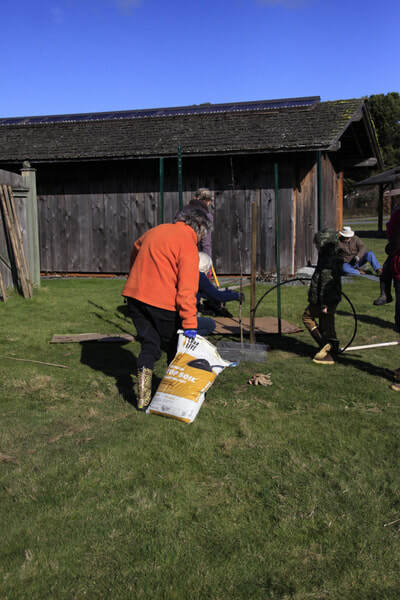 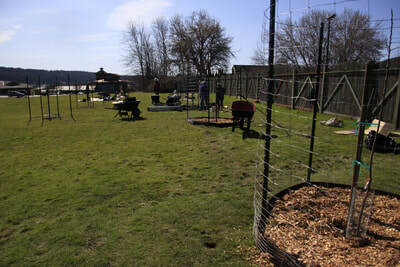 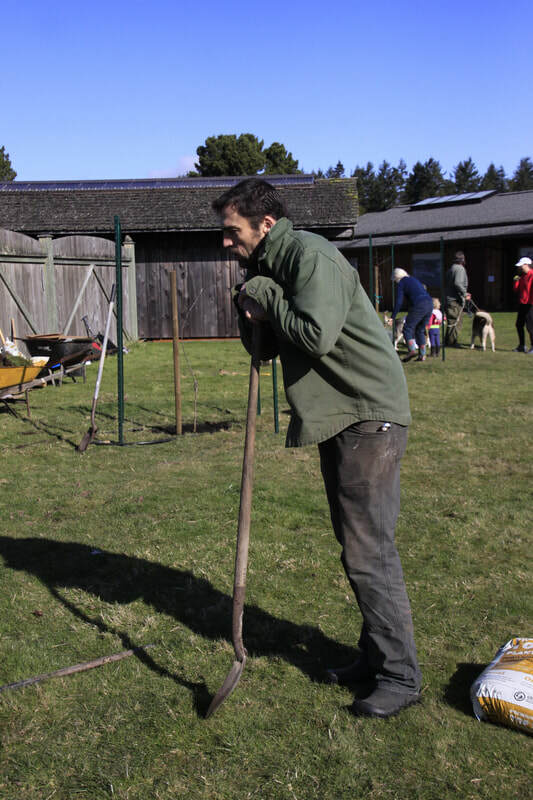 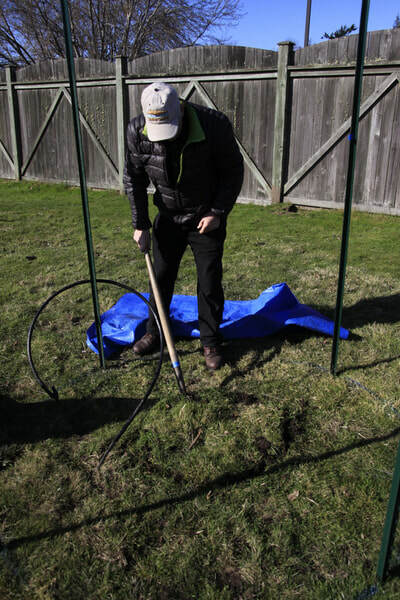 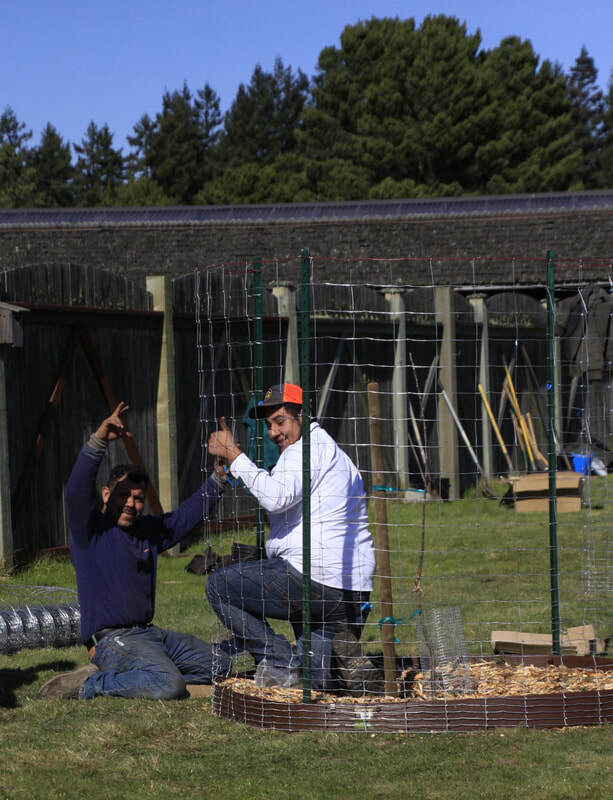 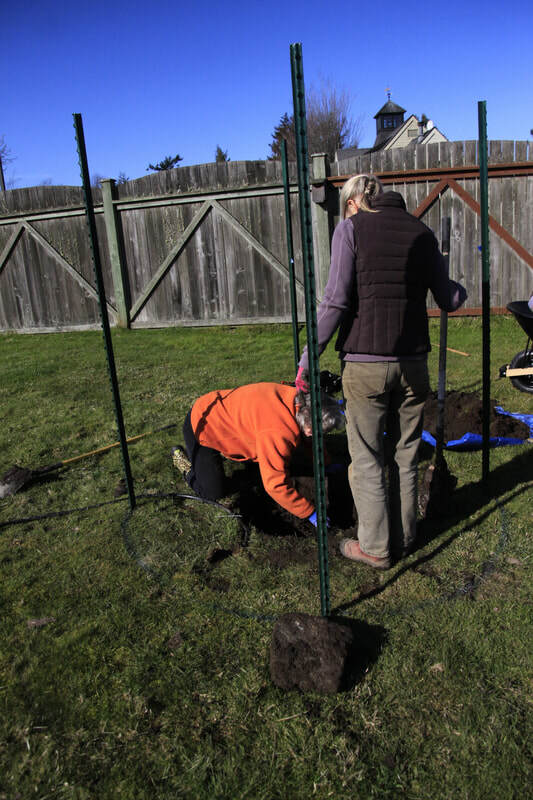 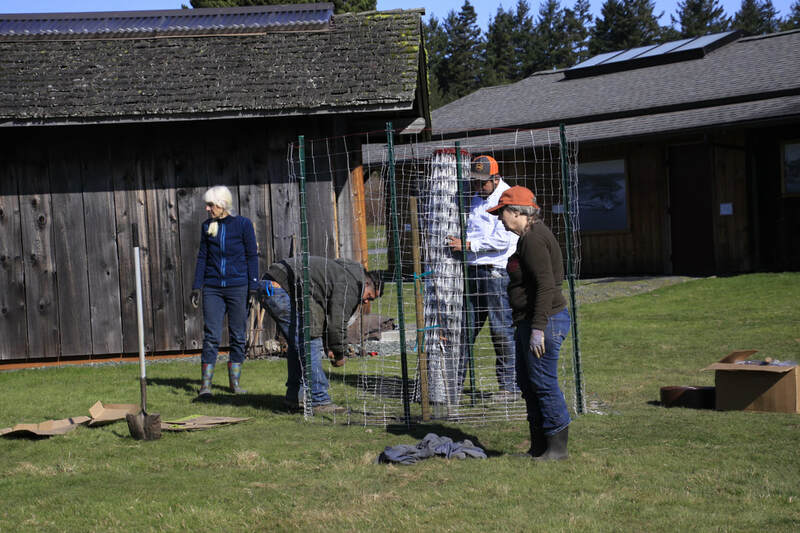 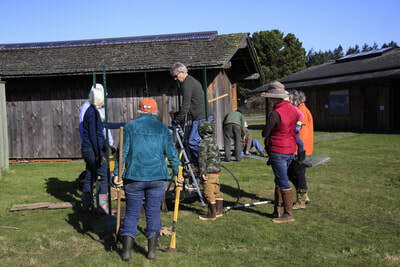 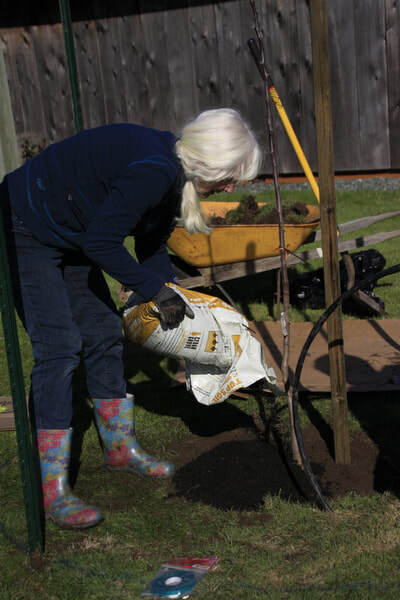 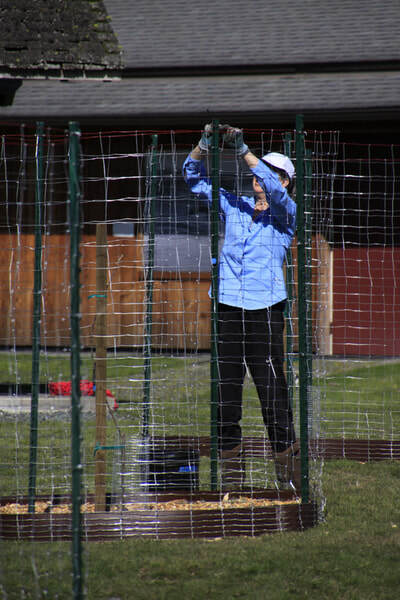 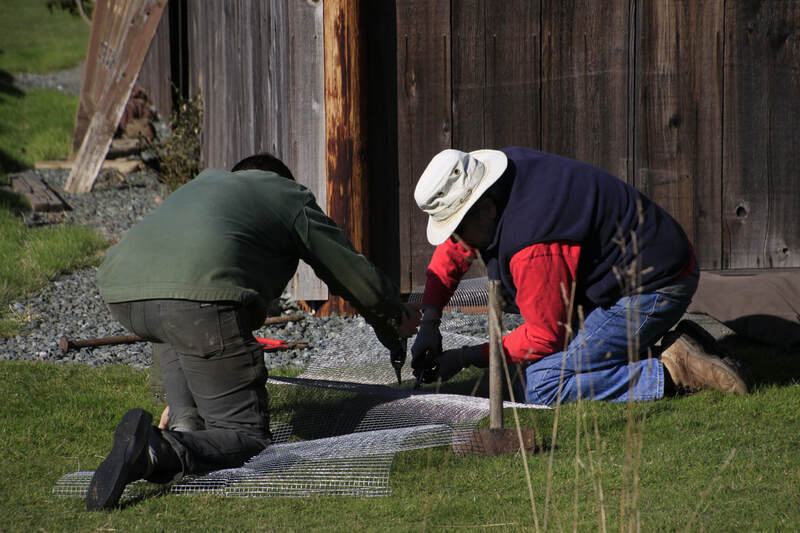 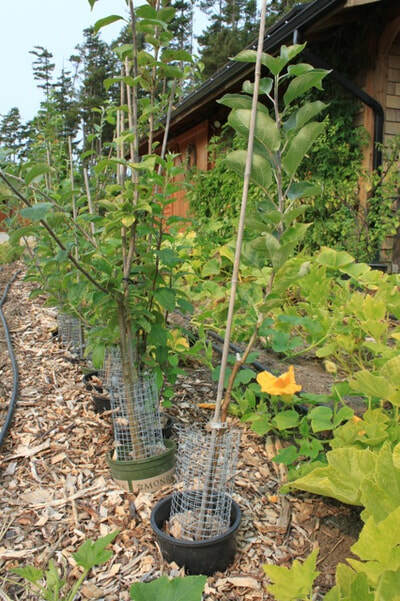 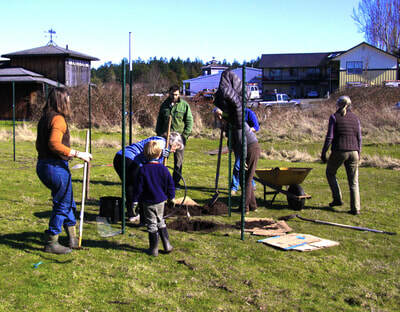 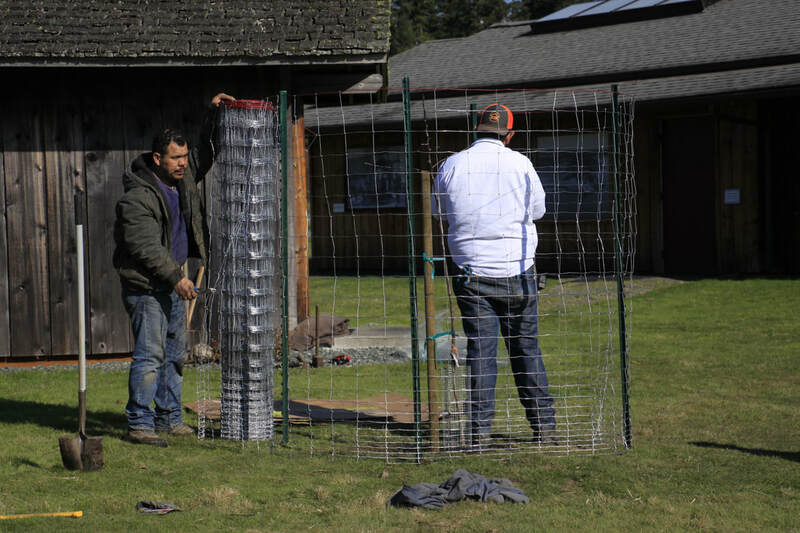 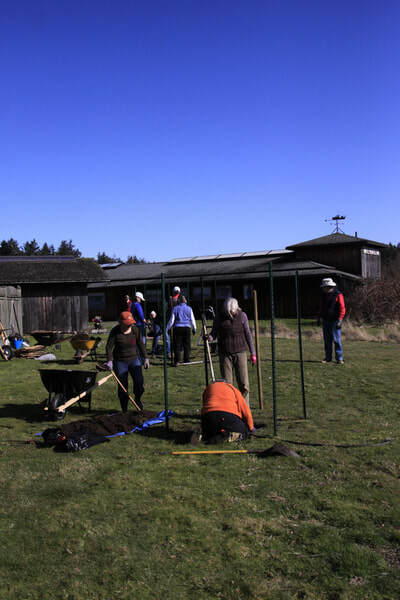 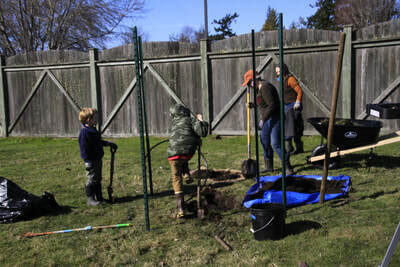 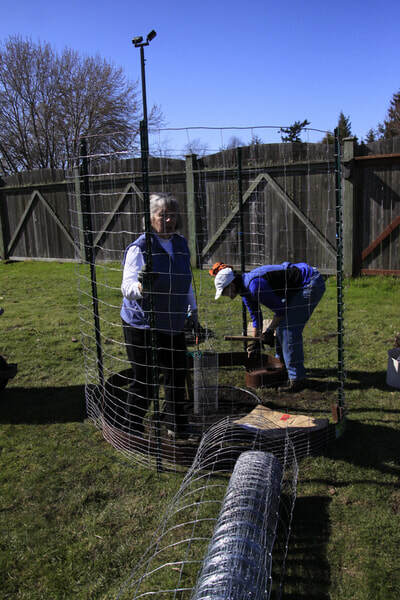 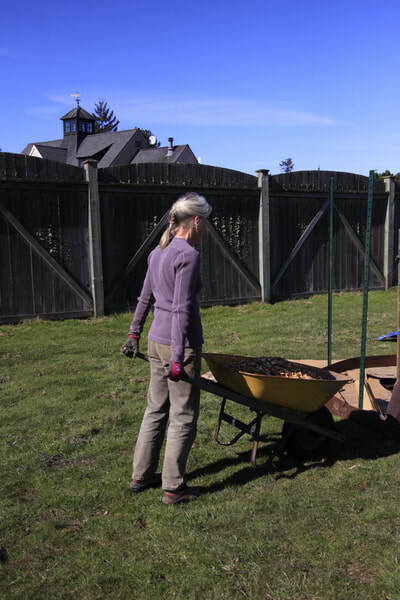 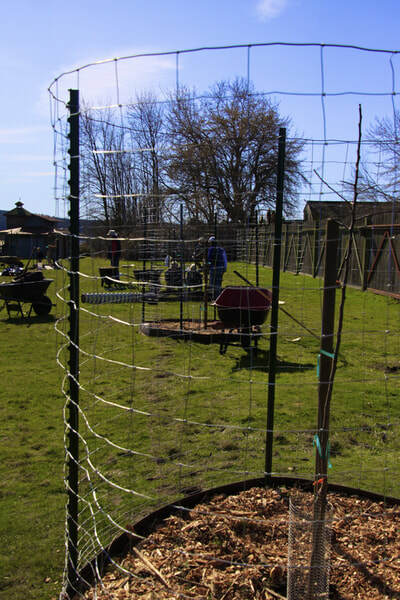 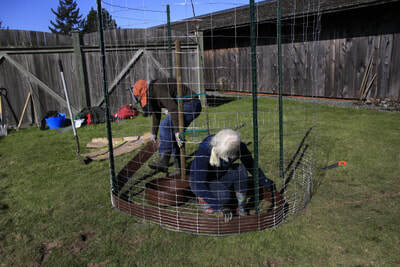 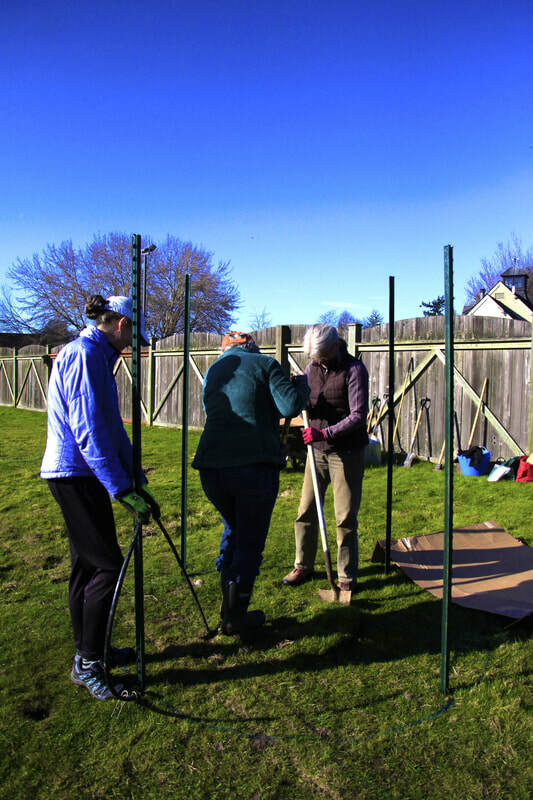 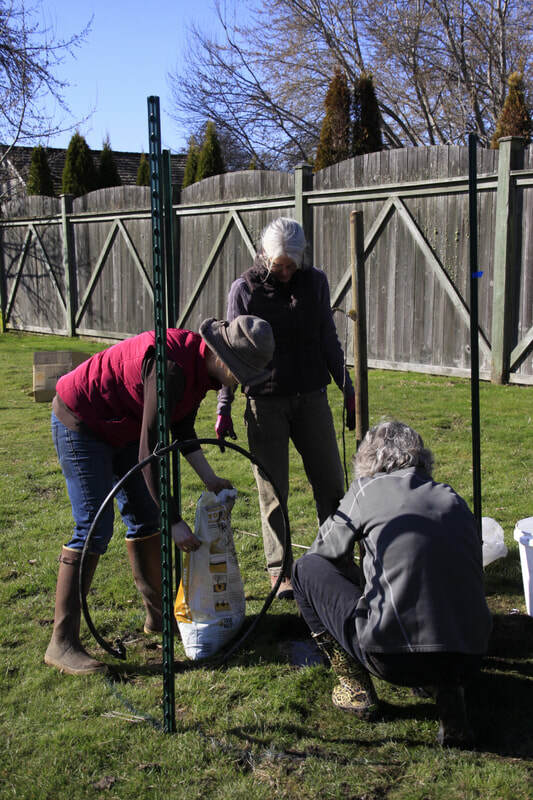 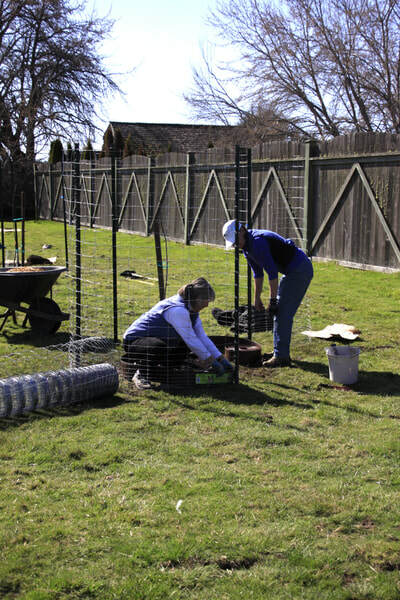 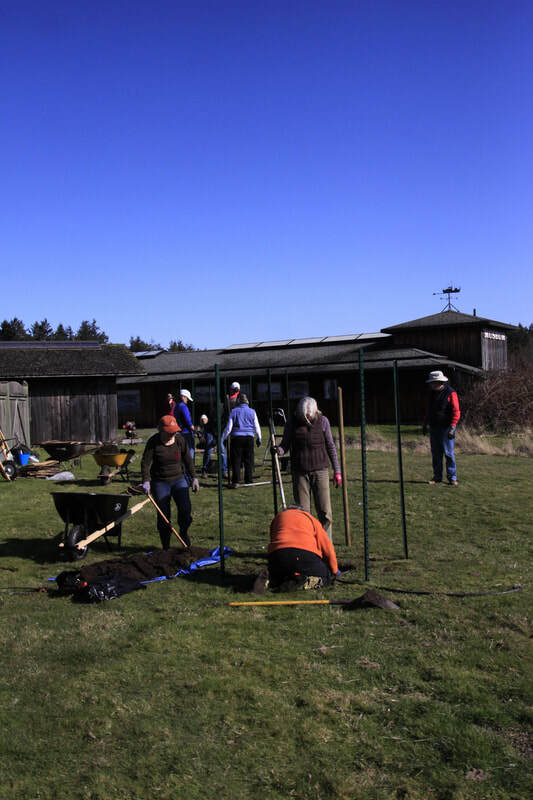 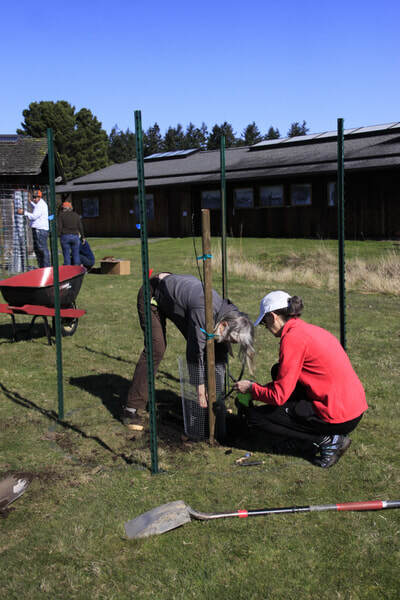 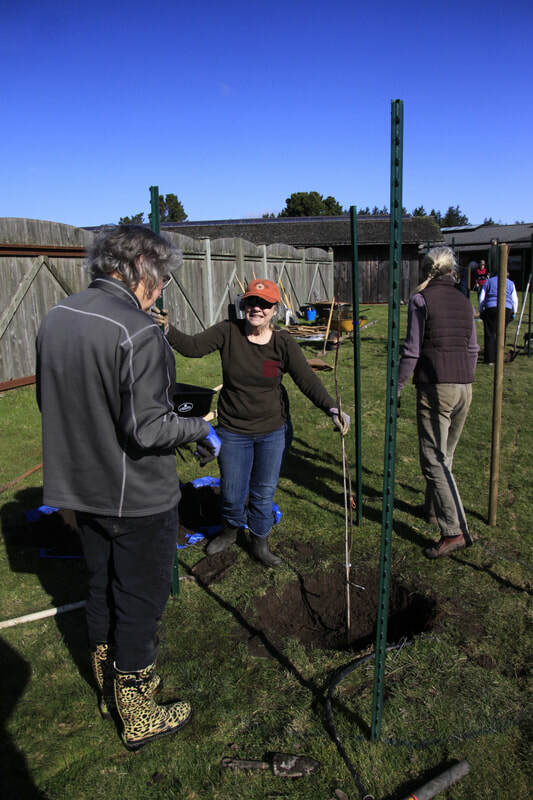 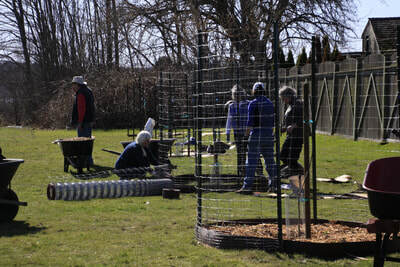 The Lopez Island Historical Society has offered to provide water for the orchard through a drip irrigation system. 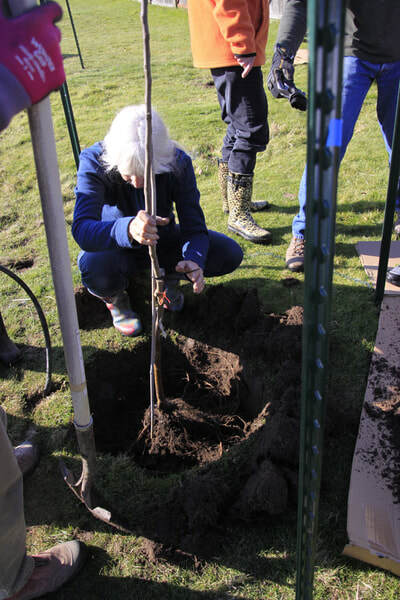 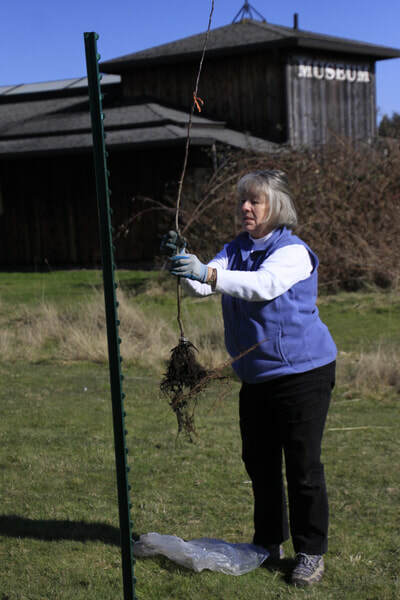 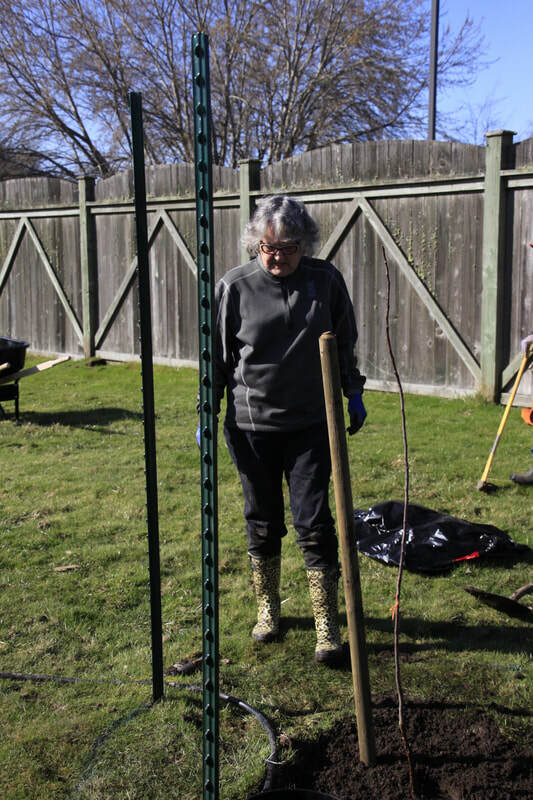 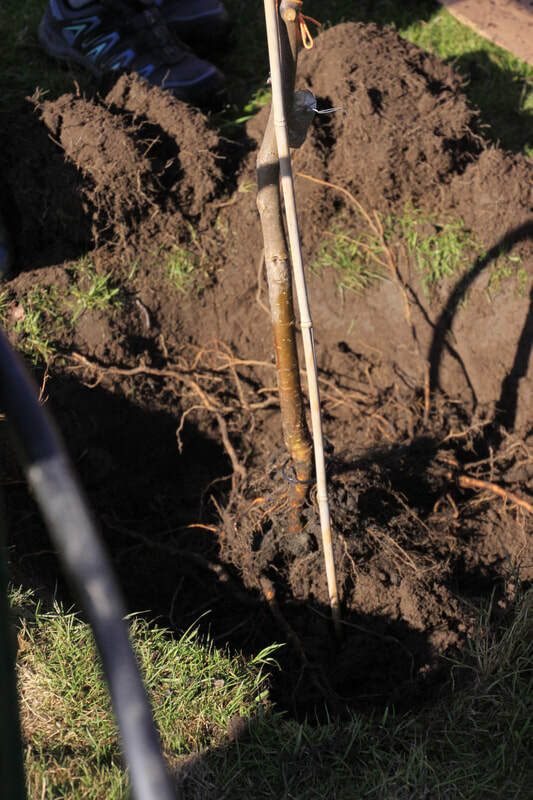 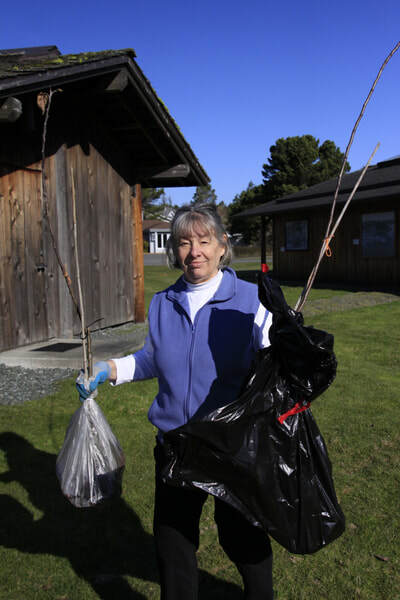 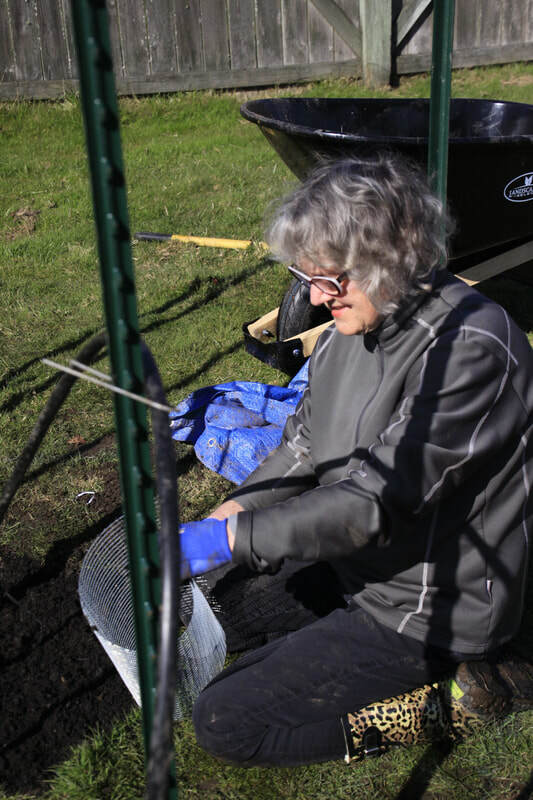 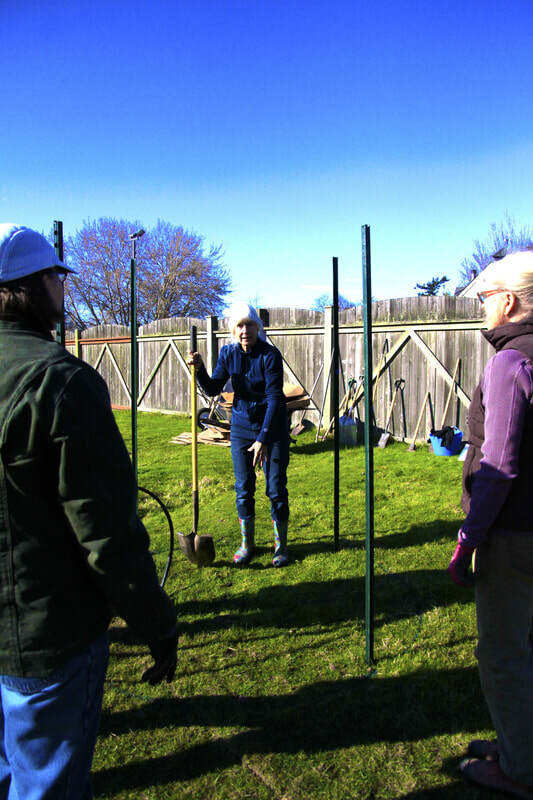 Master Gardeners grafted 27 heritage trees in spring 2016 with the help of Madrona Murphy, botanist with Kwaiht. Her work identifying heritage apples varieties and instruction in propagation has been of great importance to this project. 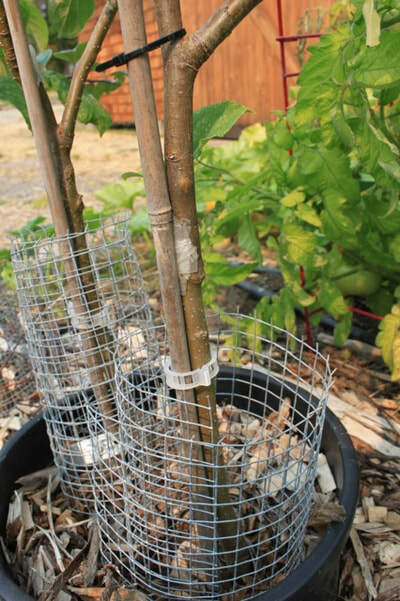 The grafted trees have spent 2 years growing in a nursery bed in Anne’s garden. 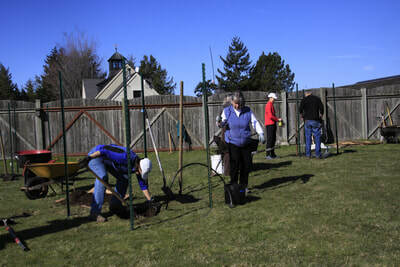 The trees were planted March 10, 2018. 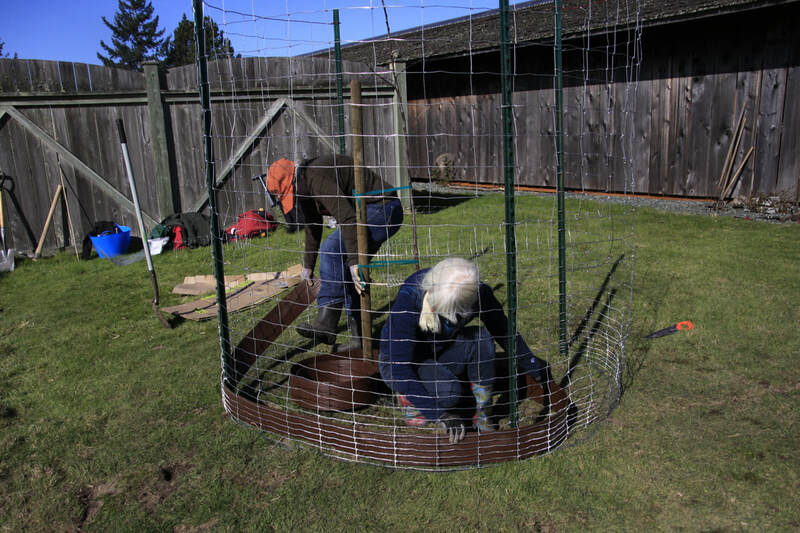 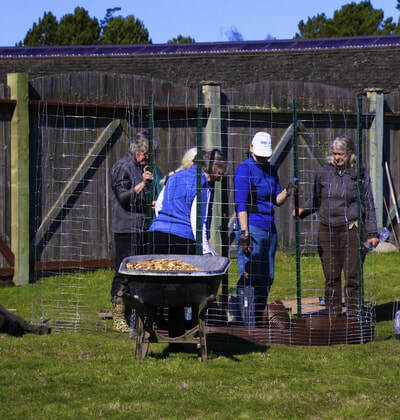 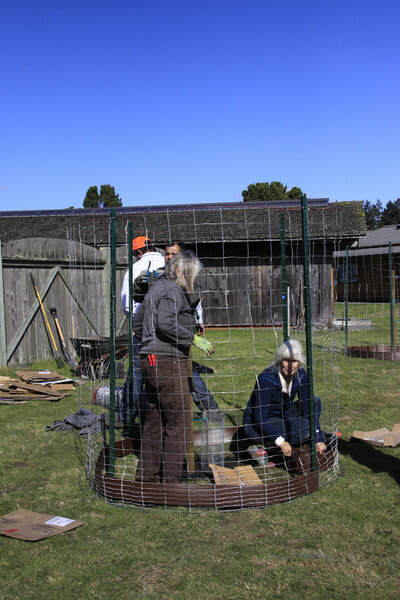 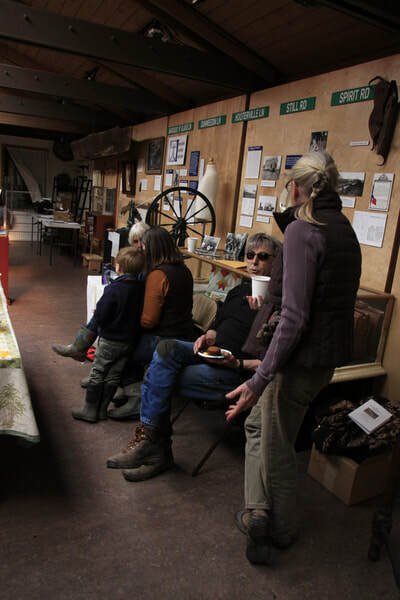 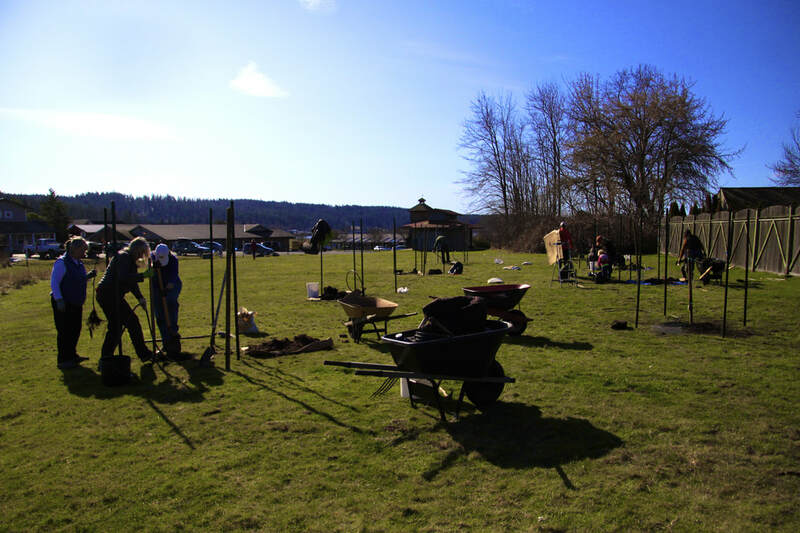 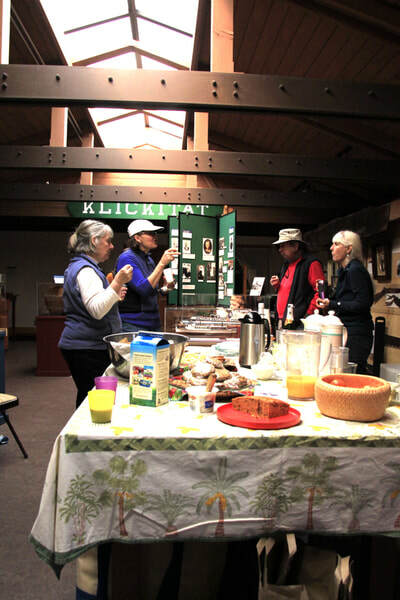 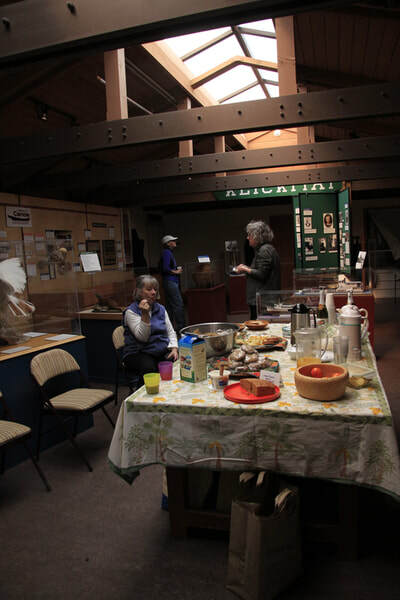 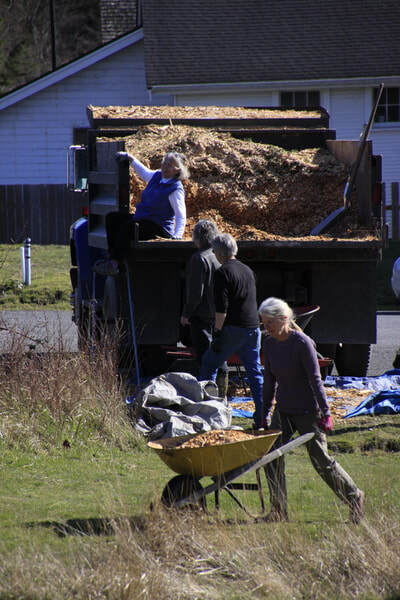 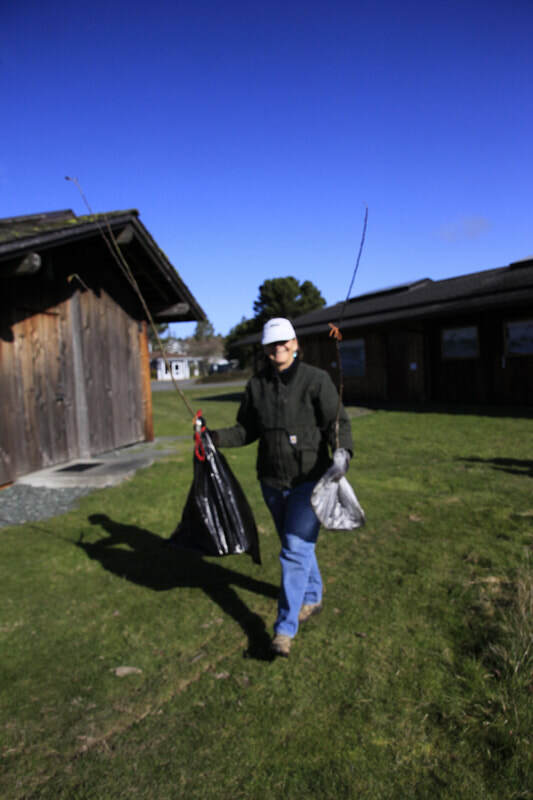 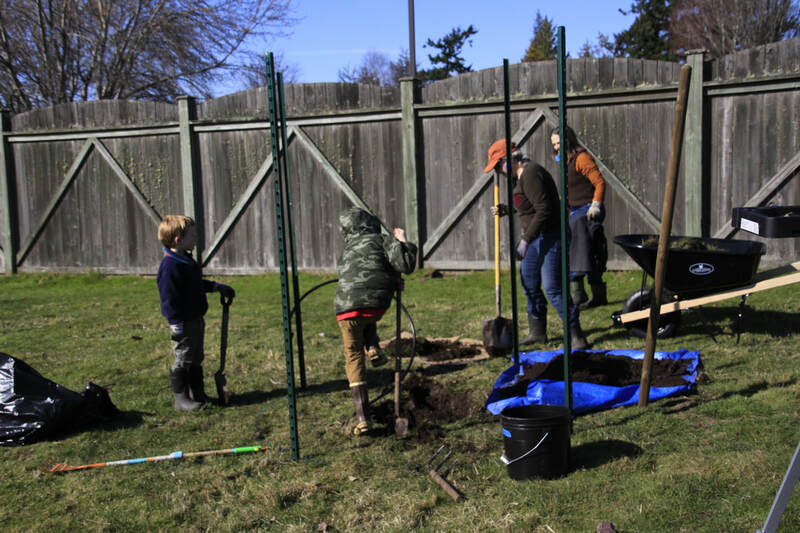 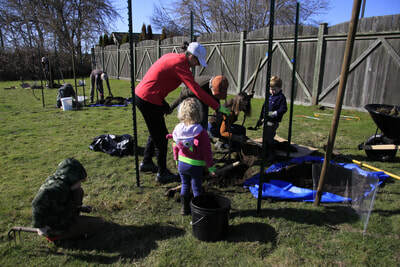 The project is receiving financial support for installation from the Lopez thrift shop, Lopez Island Garden Club, the Master Gardener Foundation and a large San Juan County Lodging Tax grant. 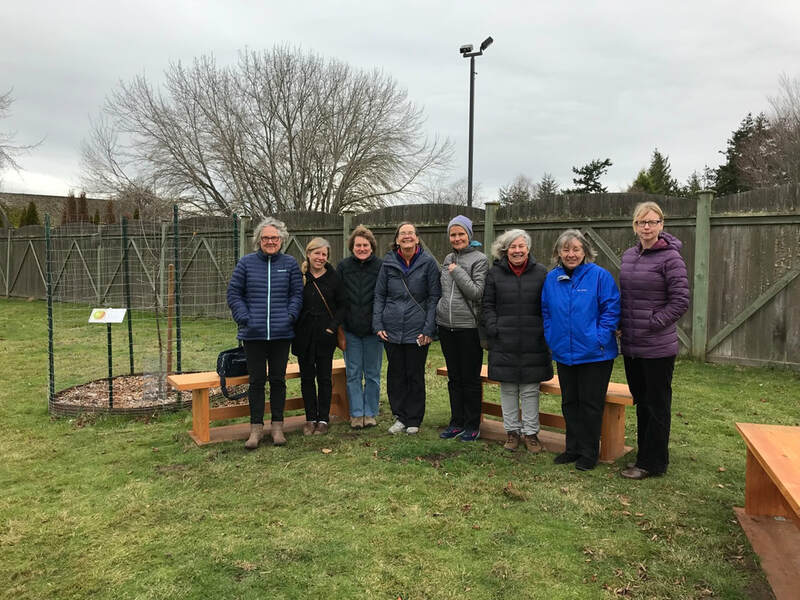 The Master Gardener Foundation Board visits the apple orchard after the January 2019 board meeting. 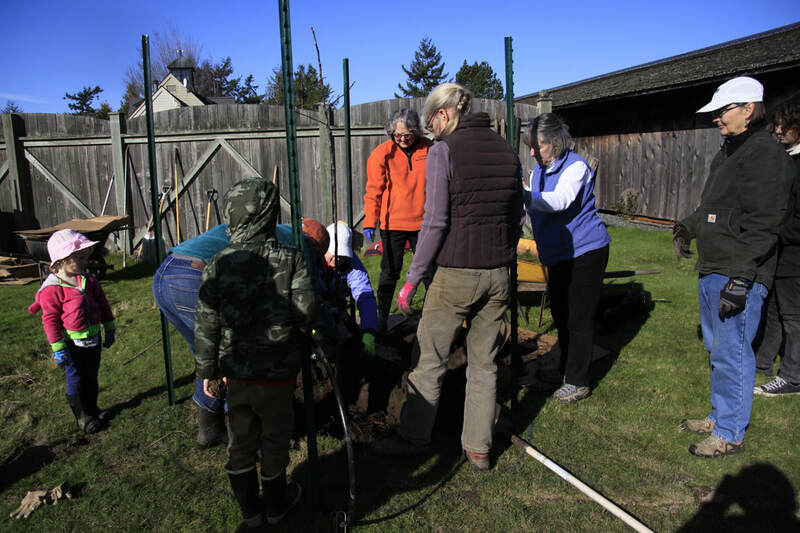 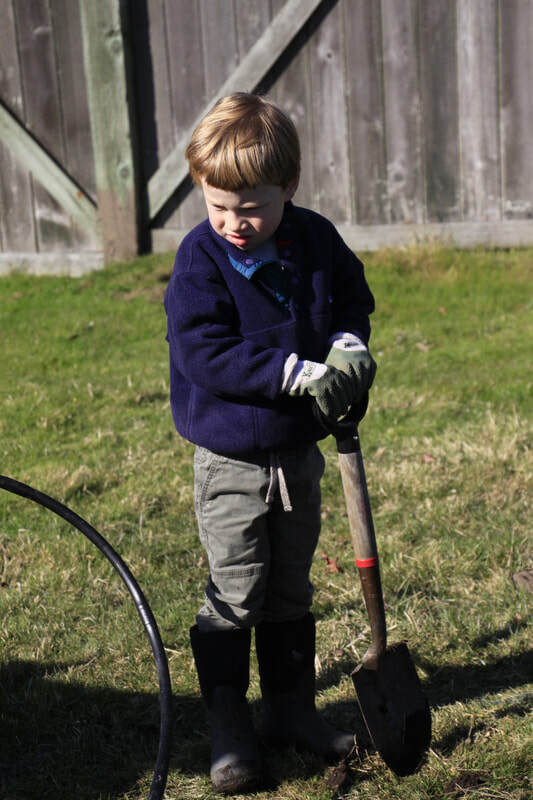 Apple tree planting party! 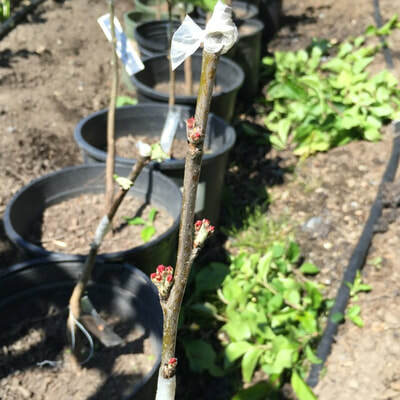 Spring 2018. 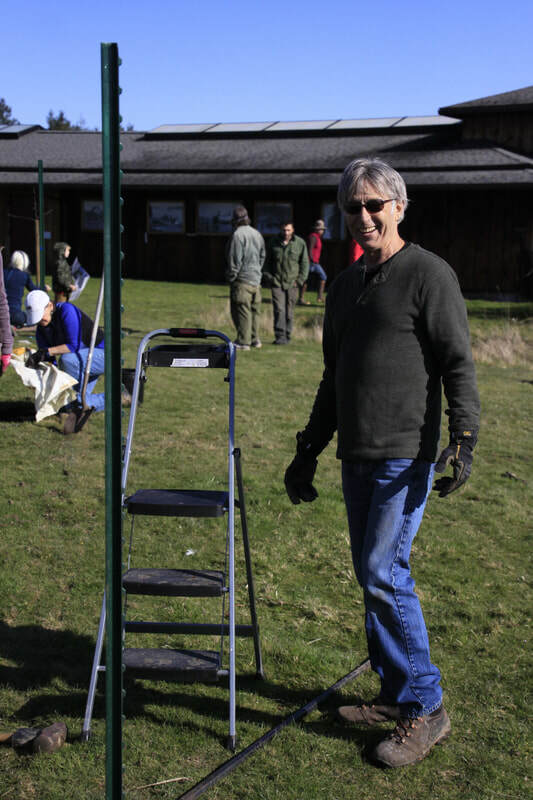 Tom Thornton of Cloud Mtn. 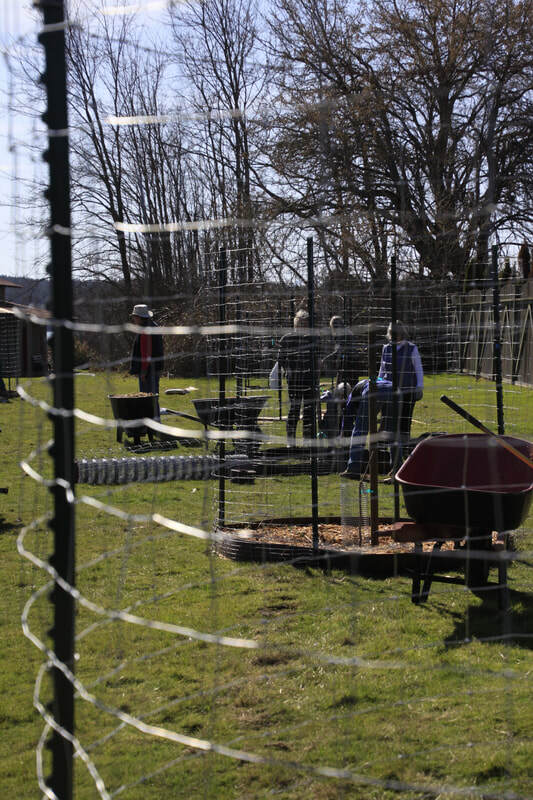 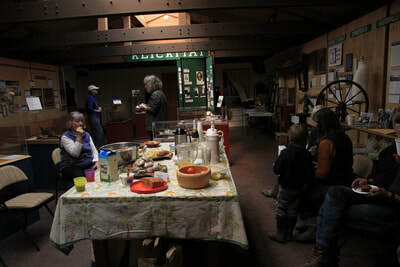 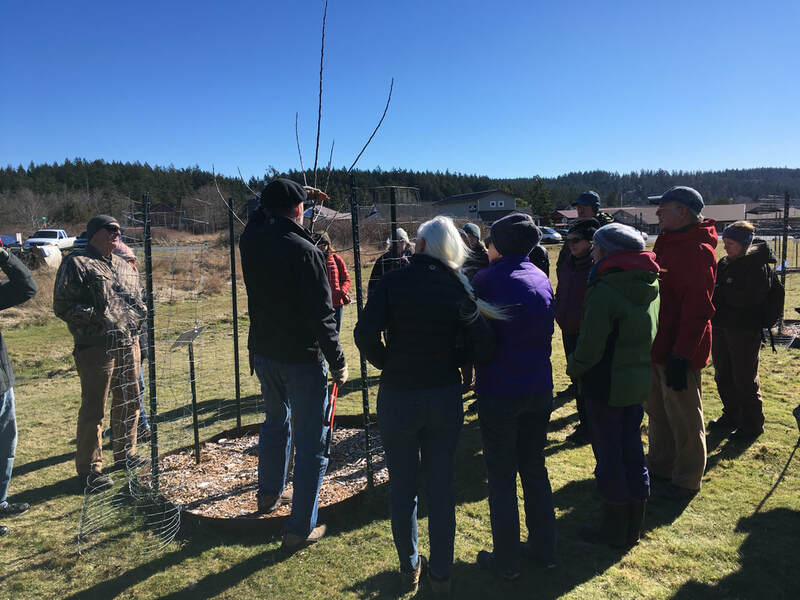 Farm leads a pruning workshop in the Heritage Apple Orchard in February 2019.